More details on UNIT's next set of missions can now be revealed. They'll be encountering the Static, travelling to oil rigs in the Hebrides, and meeting River Song†¦ but can she be trusted? 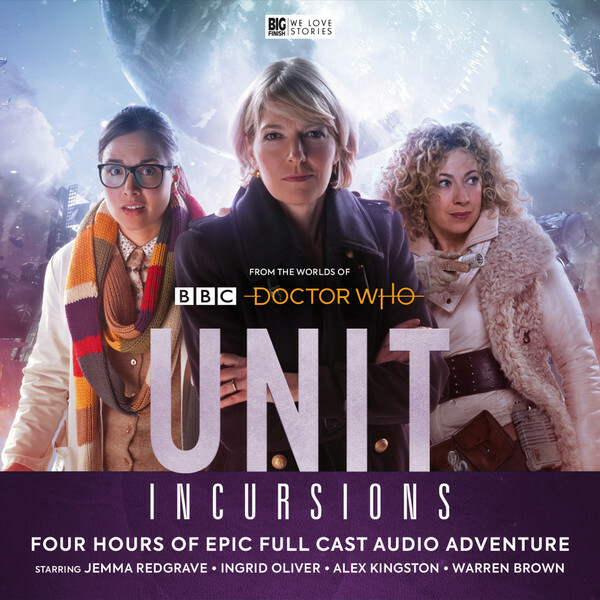 You can pre-order UNIT: Incursions (series eight) now and buy UNIT: Revisitations (series seven) with UNIT: Cyber-Reality (series six) and UNIT: Encounters (series five) together at £90 on CD or £80 on download. And don’t forget that you'll be able to catch Kate Stewart and Osgood in the special release, The Eighth of March – out on the 8th of March 2019.